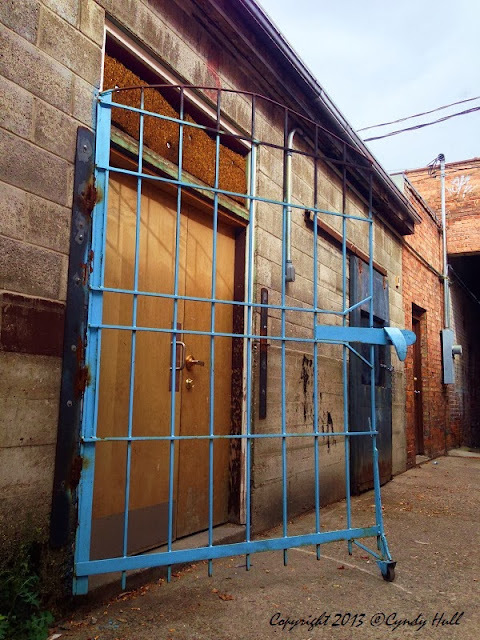 Perhaps a blue alley gate is the urbanite equivalent of painting a country mailbox blue. Fun morning wake up song - - where did you find that gate - it's great. Downtown Missoula - on your next visit, we will go a-rambling in the city.